Choose between the different types of exercises. You must stick to the correct order though. 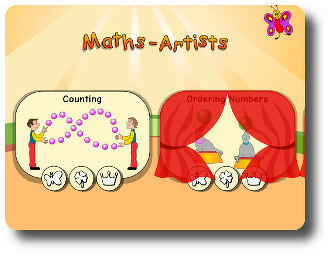 After completing the task you will obtain a medal and the curtain for the next exercise will open. How many balls can you see? Touch the correct number. 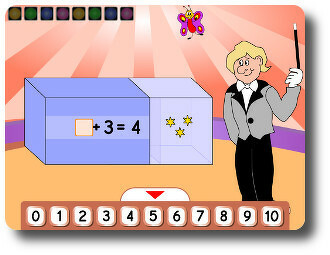 Arrange the numbers in order of their values. Start with the dark green ball. 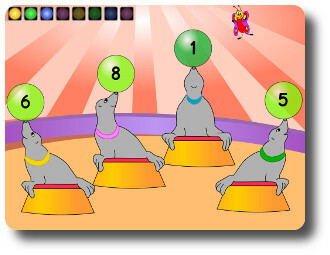 Touch the light green balls in the correct order. Equal, greater or smaller? 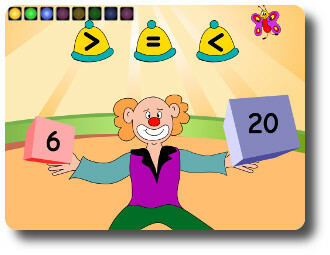 Look at the numbers written on the boxes and drag the hat with the correct sign onto the clown´s head. How many stars are in the box? Tap the correct result. Look at the sum. Touch the correct starting point and the frog will jump out of the hat. 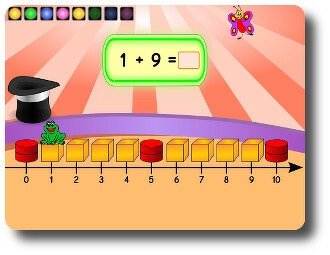 Do the sum and show the frog the result on the number line. Swapping the position of the numbers you are adding still gets the same result. 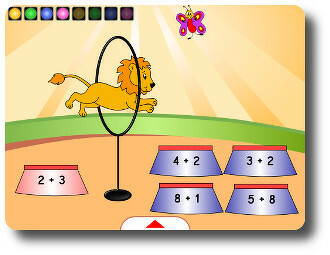 Tap the corresponding sum and make the lion jump through the hoop. Choose the correct answer. Find the correct answer. 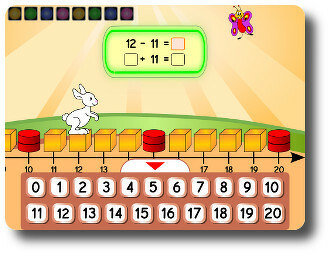 Complete the inverse calculation to make the bunny go back to the starting point. 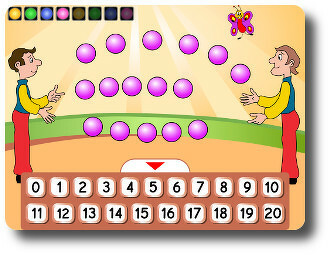 You can solve sums greater than 10 in 2 steps. 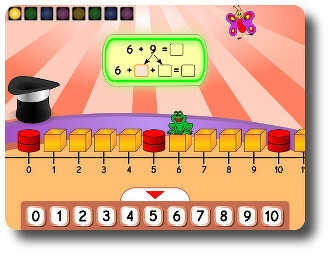 The frog first jumps to number 10 and then carries on to the answer.